An Hotel with 162 spacious One-Bedroom and Studio apartments. 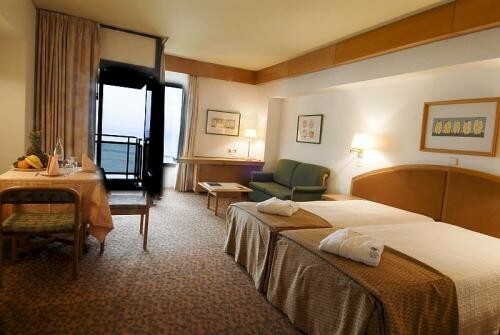 Within comfortable walking distance of the Casino, beach and Train Station for short journey to central Lisbon. Discount Rates online. 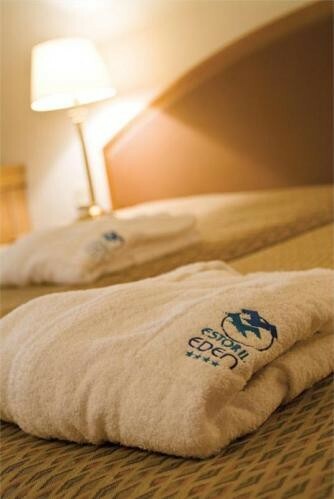 The Hotel Estoril Eden is located facing the estuary entrance to the River Tejo in Estoril. It is only 30 minutes to the City of Lisbon and Lisbon Airport. There are 162 comfortable Studios and one-bedroom Apartments with sea or land view, also include 2 luxury Penthouse Suites. Each unit has in-built extra soundproofing, air-conditioning, balcony with panoramic views, fully equipped kitchenettes, Internet, Satellite TV, and a room safe. Facilities include a restaurant 'The Garden', serving a menu that offers both traditional Portuguese cuisine and also international dishes. There are two bars, the 'Bellevue Bar' with fine views of the estuary, and the Bistro Bar which also provides light meals. 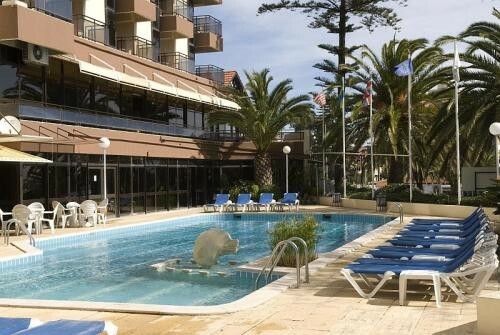 There are two pools, the outdoor pool with sun loungers and the indoor heated pool. There is also a Fitness Room and a Jacuzzi. Valet parking facility. For night life there is the choice of the Hotel 'Stella Maris' Disco-Bar, the Estoril Casino with its international floorshows, or one of the popular location within Estoril itself. Decorated in soft colours, this spacious and air-conditioned room features a balcony with garden views.It comes with kitchenette and a refrigerator. It includes a flat-screen satellite TV and a seating area. 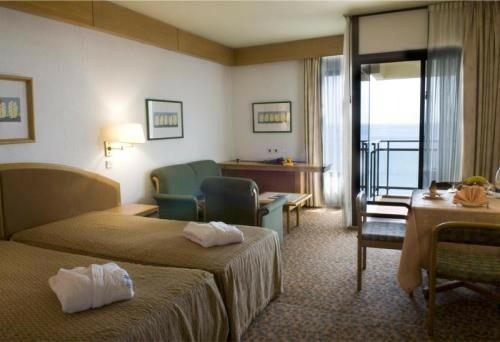 This room includes views of Cascais Bay. Decorated in soft colours, this spacious and air-conditioned room features a balcony with garden views. It comes with kitchenette and a refrigerator. It includes a flat-screen satellite TV and a seating area.